The finished product is golden and beautiful, fluffed up so there aren’t any gaps, and then topped with powdered sugar icing and decorated with sprinkles. In the process of making quite a few, I had posted a Facebook status about making tree breads. My aunt asked how to make them, so I took pictures along the way. The photos in the post are from last year, and sadly I forgot to take a final product picture. I’ll make sure and capture the final beauty when I make mine this year. My first Christmas as a Nelson, I had Becky walk me through the process, taking notes along the way. The recipe for the dough is the one Nolan’s grandma always used for her sweet rolls (I think it’s an expanded version of the sweet bread recipe from Better Homes and Gardens’ cookbook). I’ve heard from a lot of friends that making bread is intimidating to them. I love having my notes from watching Becky make it to refer back to. -Preheat oven to 200 and then turn off. -Bring the milk to a boil in the microwave (about 5:55) without scalding it. -While the milk is warming, put the warm water in a bowl, mix in the sugar, and then sprinkle the yeast over the top before gently whisking in to mix well. Let sit. -Add oil, sugar and salt to warmed milk and pour into mixer so it can start to cool (I use my absolutely wonderful Bosch, which was given to me as a shower gift from Becky specifically for making tree breads!). -Make sure microwave bowl has cooled (I use a Pampered Chef glass batter bowl) and beat 3 eggs in it. -Make sure the milk is lukewarm (you don’t want it to kill the yeast), add eggs and yeast (which should have raised to about double the original amount) to milk mixture. -Turn to 1 (on the Bosch) to mix thoroughly. -Add flour by the cup (I think I end up using about 6 cups total in the end) until the mixer cleans the sides of the bowl. Start by adding the flour to the outside of the mixer, and then as the dough forms, add it to the center so that the mixer will clean the dough from outside and inside. -Put about a tablespoon of oil in a stainless steel bowl and spread around. -Put dough in bowl and press into it so that the entire bottom side of the dough is coated in oil. Fold in sides so the oil covers the top. Flip dough so all exposed surfaces are coated in oil. This will prevent the dough from drying out. -Cover with a linen towel (or any lint free towel) and put in oven to rise. -When dough has raised, punch down and kneed the air bubbles out. Divide your dough into quarters. -Take one of the quarters of dough and roll it out into an off-shaped square (see below). -Spread the dough with softened butter, rub brown sugar over the butter and sprinkle with cinnamon. -Fold one corner to the opposite so your folded dough looks like an arrowhead/triangle/Christmas tree. -Cut slits in the bottom (leaving the middle uncut) to make your trunk. -Cut off part of one side’s strip so your trunk won’t bee too thick. -Fold the short side under the middle, and wrap the long side under and around the short side. 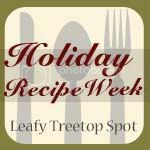 -Carefully transfer the tree to a parchment lined cookie sheet (the parchment paper is important if you don’t want to scrape gooey brown sugar gunk off your cookie sheets). -Using a sharp knife, make indentations where the branches would be, slightly angled up. -Slice through the tree from near the center out, cutting slits along the indentations for the branches. -Twist each branch upward about two times. Shift and shape each branch so that it has a nice tree shape. -Allow to rise a bit before baking so that the tree will be nice and full. -Bake at 350 in the center of the oven for about 20 minutes (I can’t remember the exact amount of time, plus my oven cooks slowly) until top is golden and it’s cooked through. -Drizzle with a powdered sugar/water glaze. I like using this glaze instead of a frosting because you can still see the tree. -Top with sprinkles, red hots, cherries, or anything you think would make your tree look decorated. I wrap cut up cereal boxes with wrapping paper, put my tree on that, and then wrap in colored plastic wrap and tie a ribbon around it before giving them away. These have become a hit with the people I work with! You eat them by cutting off the boughs of the tree. It’s delicious! Visiting from Texas Monkey...this looks Yumola! Thanks for sharing! I'm your newest follower! I would love for you to link this up to What's Cooking Wednesday! This is genius! So fun and creative. I just bookmarked this page. I've got to try this for neighbor treats! Thanks! This looks so good I think I might have to make it this year...yummy! I love this! It looks soo good. I think I'll make it for Christmas morning. It will be fantastic with a cup of tea! Thanks so much for sharing the recipe. Thank you for the amazing instructions!! Love this idea!! Jill this is adorable, I love it. Can practically taste the yumminess. Please come link this to my party **6 weeks 2 JINGLE**, I would SO love to have this, and hopefully make for my family. Why isn't there a picture of it after it is baked? What an awesome tradition...can't wait to make this! I would also like to see a picture (after it's baked). I found this on Pinterest. I am new to it, so when I tried to pin it, I don't think I did it correctly. This looks so wonderful and fun. Thanks so much. I spotted this on Pinterest and was sure that it was based on rolls from a can. I'm so impressed that it's from scratch. Kudos to you. I found this on Pintetest. Such a creative idea. My mom has done a very similar recipe my entire life only she decorates the tree with spiced gun drops. You stick them into the tree as it is cooling and it looks like Christmas Lights! I just found this on pinterest and love it-one question, how long do you let the dough rise before you divide it into quarters? I was just wondering, do you give the baked bread to your friends and neighbors or unbaked? Just wondering if they should bake it themselves Christmas morning and if so, shouuld they put it in the fridge over night. Please let me know! Hi Anonymous--Glad you're making it! It's wonderful. As far as how long to let the bread rise, it isn't so much an amount of time as it is how large it rises to. Let it rise to double the original size. Also, I give them away baked. They warm up easily, but I wouldn't want to worry about someone having to store it properly and need to bake it. Especially if they already have a traditional Christmas morning meal. Do you mix with a dough hook, or regular paddle attachment? Has anyone tried this in a Kitchen Aid? I was wondering, too, why you preheat the oven, then turned it off? Do you let the dough rise in the oven? Can I just tell you all how much joy it brings me that you're making tree breads!!! I use a Bosch, and I use dough hooks with mine. My mom makes her bread dough in her Kitchen Aid, and I'm assuming she uses dough hooks as well? Thanks for the dough hook answer Jill! I'm making my tree breads today! Thank you for the picture step by steps and we will help your tradition live on! Just saw this on Pinterest! I can't wait to try it! Thanks so much for shareing! My mom has been making a similar Christmas tree for over 40 years now. One thing you might try: add green food coloring to your powdered sugar icing. And we put candied cherry halves at the ends of the branches. Love it! Such a beautiful idea. i have to remember this fpr christmas, this looks amazing! I'm making this right now and am eager to eat it tomorrow (Christmas) morning! Two points: 1) it would be nice if you gave us an estimated time to rise. Everyone else has gone to bed and I'm up waiting for the dough to rise. And 2) I think your flour is way off. I made 1/3 of your recipe and it took 4 - 4.5 c of flour. ... Thanks for shring it.